One day in 1973 Targ and Puthoff were contacted by Burbank, California Police Commissioner Pat Price who had been closely following their work and wanted to help. Price said that he had been practicing clairvoyance for years and successfully using it in his police work to catch criminals. Whenever dispatch reported a crime he would sit in his office, close his eyes, and psychically scan the city looking for someone matching the description. Once he pin-pointed their location in his mind’s eye, he would send out a car to check, and actually succeeded in catching several criminals this way. For Price’s first informal experiment at SRI, Targ had him remotely view Puthoff who was on vacation. Sitting together in the Stanford lab each day, using Puthoff as the unwitting agent, Price described what he saw, recounting scenes of churches, market squares, and volcanic mountains all very characteristic of Central America. When Puthoff returned, he confirmed that his holiday was in Costa Rica and he had indeed visited churches, markets, and mountains on the very days that Price remotely viewed them. Through SRI the CIA got wind of Price’s skills and initiated the now declassified Projects “GrillFlame” and “Scanate” in an attempt to clairvoyantly spy on sensitive targets. Price was given nothing but the latitude and longitude of a remote location and asked to describe all details that he could see. With unwavering confidence Pat polished his glasses, sat back in his chair, closed his eyes and began recounting what he saw. It was a military airfield with a few buildings scattered around. There was a large 8 wheeled gantry set upon tracks, a big cluster of compressed gas cylinders at one end, and inside the buildings were masses of steel gores. Price then opened his eyes and drew pictures of the building layout, the cylinders, the gantry, and gores. When the results came back from CIA spy satellites and ground Intel, it turned out that the target site was indeed a Soviet military airfield and nuclear testing area in Semipalatinsk, Kazakhstan. The building layout, cylinders, 8 wheeled gantry, and even the steel gores inside were all confirmed to be just as Price described. 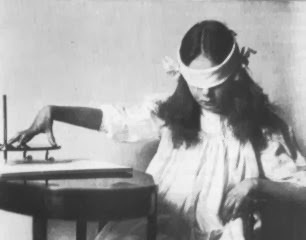 Sadly Pat Price died in 1975, but Targ and Puthoff continued their remote viewing projects and in 1978 met someone they later described as “the greatest natural psychic ever to walk into our laboratory,” US Army Special Projects Intelligence Officer Joe McMoneagle. 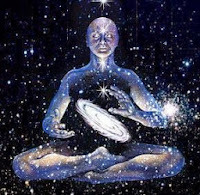 A highly decorated and esteemed soldier, Joe McMoneagle had survived a near-death experience and had many out-of-body experiences which piqued his interest in remote viewing. 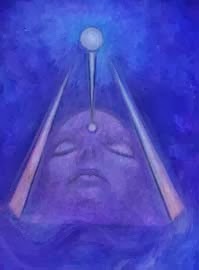 He said the experience of leaving and looking down on his own body started him on his psychic journey and forever changed his metaphysics. 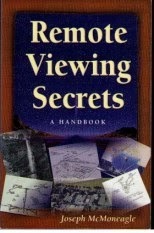 For his first experiment at SRI, Joe was told only that he would be viewing a “technological” target within 100 miles of the San Fransisco Bay Area (which is full of possible technological locations such as military bases, airports, factories, power plants, cell towers, linear accelerators, radar installations and radio telescopes). 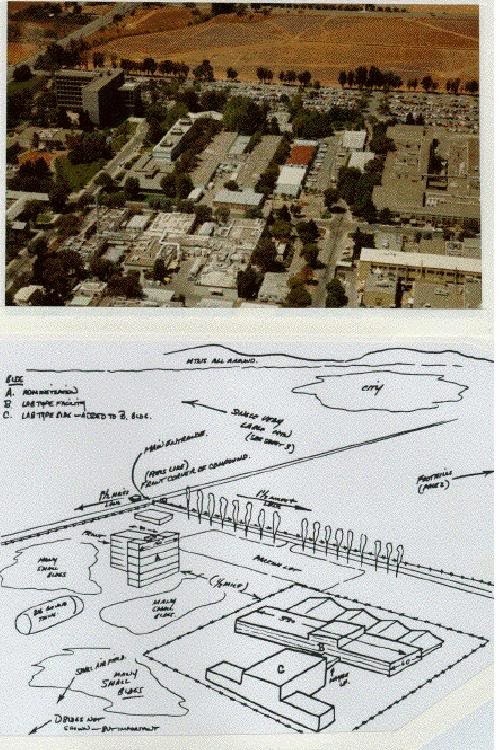 The actual target was the Lawrence Livermore Laboratory, the famous hydrogen bomb research facility directed by Edward Teller. 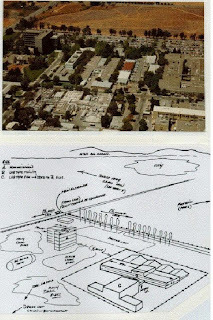 Without hesitation Joe picked up his pencil and began drawing what he saw in his mind’s eye: the multipurpose laboratory complex, segmented one-story buildings nearby, the six-story administration building, a T-shaped building, a cylindrical roofed building and a large parking lot. When Joe’s drawing was finished it was independently deemed as 85% accurate. In perhaps his most impressive viewing session on record, Joe was given absolutely no feedback whatsoever about where the agent would be traveling and he was able to draw an astonishing resemblance independently verified as 94% accurate. 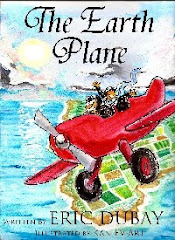 The target was a windmill farm in the foothills of Livermore Valley, and that’s exactly what Joe drew: Multiple wind generators, rotating blades, with poles scattered amongst the hills all connected in a grid. 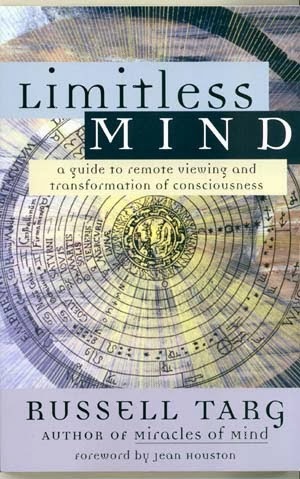 The ability of remote viewing raises some interesting questions and serious objections regarding the scientific materialist paradigm. Traditionally science has explained the miracle of sight as a purely material process taking place in the eyes and brain; however, this obviously conflicts with the research done at SRI and PEAR. 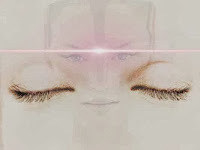 Anyone trained in remote viewing or anyone who has experienced out-of-body travel and witnessed looking down upon their own sleeping body would have to agree that there must be something much more mystical and immaterial responsible for vision. Life magazine once featured Rosa Kuleshova, a Russian girl who could read perfectly clearly using her fingertips. The Russian Academy of Science tested her repeatedly under controlled conditions and concluded that her abilities were genuine. Italian Doctor Cesare Lombroso wrote about a blind patient who could see using her earlobe. Harvard Doctor David Eisenberg even published an article about two Chinese girls who can read using their armpits! First off im not a masonic control opposition shill trying to discredit ur work. But please be consistent. I recently read ur book AT conspiracy. What do you really stand for? Post a page for that? Since im new to this conspiracy theory idea, ur material is misleading. 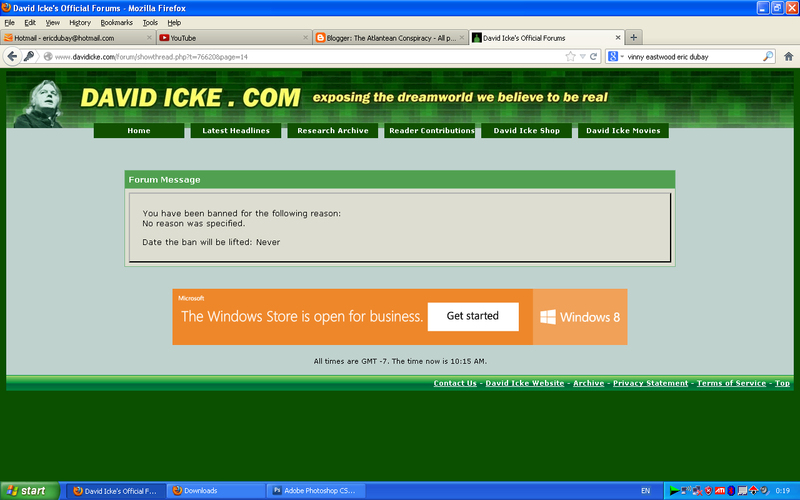 In ur book u quoted David Icke but on ur blog u expose him. 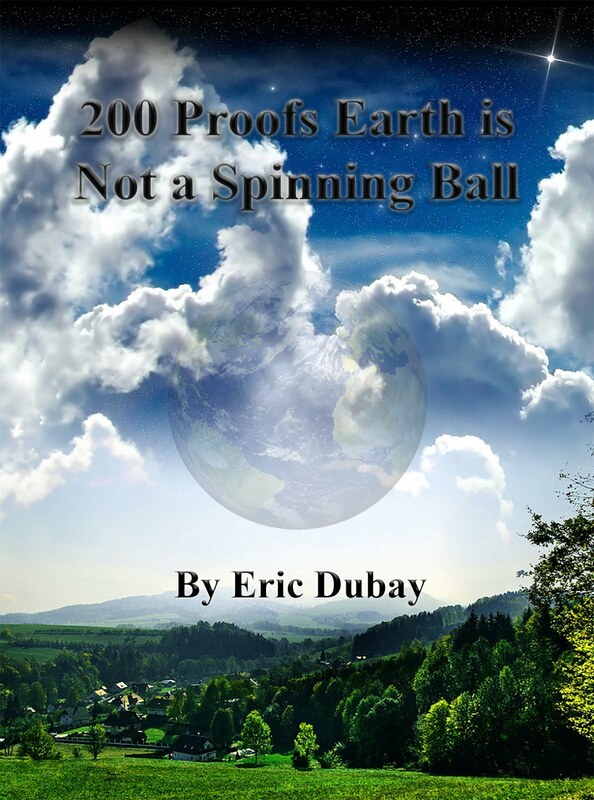 In ur book there are anti christian references as well as pro christian quotes. Few of my frens say that ACHARYA S has only a BA in Classics still she cud challenge the historical existence proof of christ versus established scholars. Im not saying a lesser scholar cant outshine the elite. Its just that please add qualifications to your quotes. 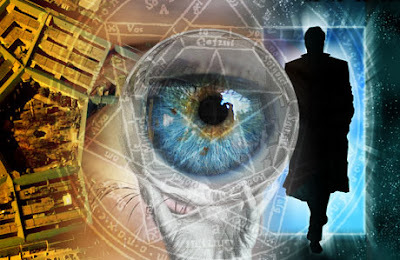 If youre against the new world order, then why are you blogging about remote viewing? 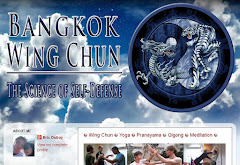 Even shamans/witchdoctors here where i live (India) do that for a living. I lose a watch and I go to a shaman and pay him $25 he'd tell me where I dropped it. Its satanic and part of the luciferian new world order. Please update ur book The AT Conspiracy. If you dont email me id assume ur just selling ur blog. 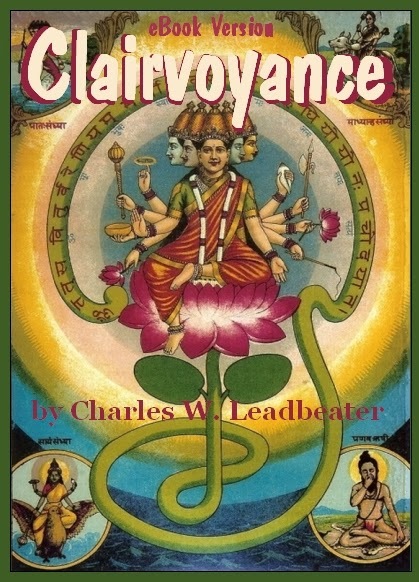 Hi Cipher, as all my long-term readers know, and I've answered ad nauseum, The Atlantean Conspiracy was written in 2007 before information exposing Alex Jones, David Icke et al. came to light. Once I realized they were controlled opposition I quickly got to work exposing them on my blog, however, like with all controlled opposition, 90% of what they say is spot-on. The quotes I have from Icke in my books are still excellent regardless of who he works for. The same goes for Acharya S. I'm not pro or anti-Christian, I'm a-religious and dislike all religions equally. 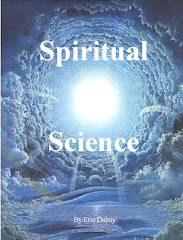 I'm pro spirituality and the scientific method, hence my book Spiritual Science. Religion is to Spirituality as Indoctrination is to Education. 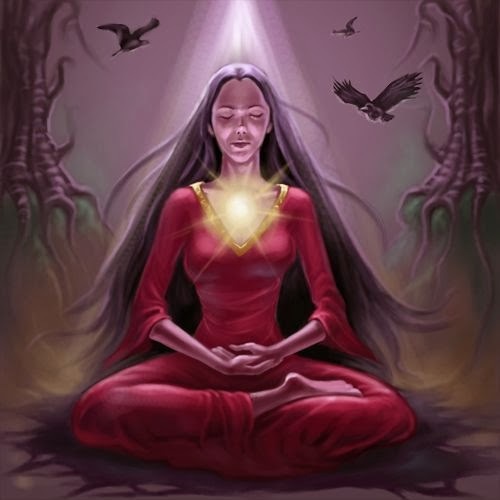 Spirituality is each individual's own quest for truth. 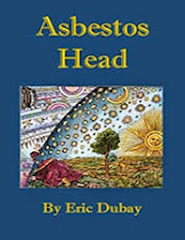 I encourage everyone, as I said in Asbestos Head to "wander the world ever wondering why and never decide, because ultimately any system which gives answers to metaphysical questions is suspect because it grants Truth to things we can't know through experience. A more educated approach to the unknown is utter agnostic apostasy: accept you don't know and couldn't even know you're right if you knew it. Spiritual questioning is best left unanswered and simply explored throughout our lives as we all exist in the mystery." I really appreciate your honestly (the rv part) on the personal level. Never meant I didnt learn a lot from ur book ATC. Just needed a few clarifications. Thank for the clarifications. Im new to all of this, also I think asking questions is the quickest way to learn and clear doubts. 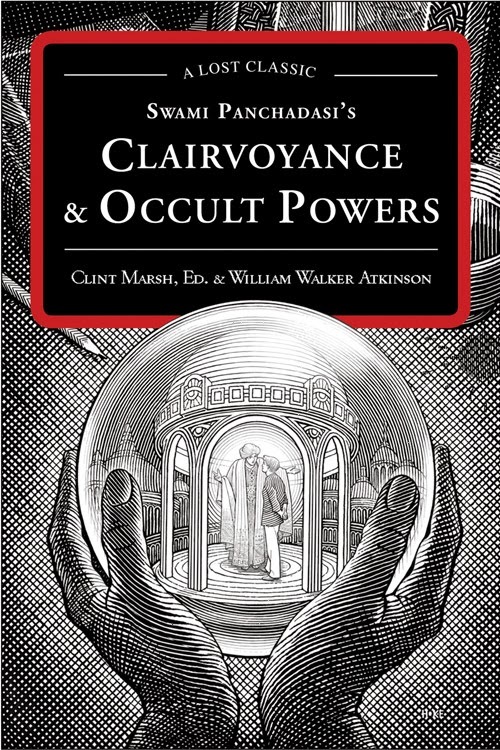 Interesting blog, it would be important to know this power of clarirvoyance is proactively being suppressed by those in power via, flouride, dental fillings, diet, etc. Its basically your third eye or pineal gland "seeing" the world. 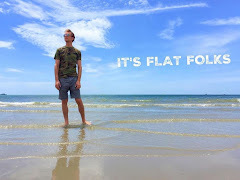 I dont know why david ickes name is ever in this blog these days, your drastically selling yourself short if you think you still need to rely on his quotes, just read them and write something better yourself. I cant see any justifiable reason to keep his name in your blog for purpose other then in a article about controlled opposition. Marry your lovely fiance and start churning out some little "free thinkers" bro. and.... WHY ARE YOU QUOTING DAVID ICKE???...... baby and bathwater..... lol. you will have to answer those same ? 's forever. lol. sorry. Yeah i hear ya, raising children is a very time consuming lifestyle choice that could potentially limit your activism. lol, Forums on those sites (VC, AJ,Rense, ITK7, etc...) all have a staff of agent provocateurs..... wait, im preaching to the choir here. WAIT...what the hell do you mean the Moon ISN"T a hollowed out alien space.............?!?!?!?! 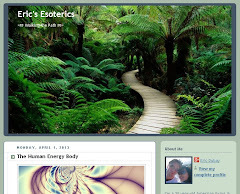 Hi Eric, is there any difference between remote viewing and out of body experience? 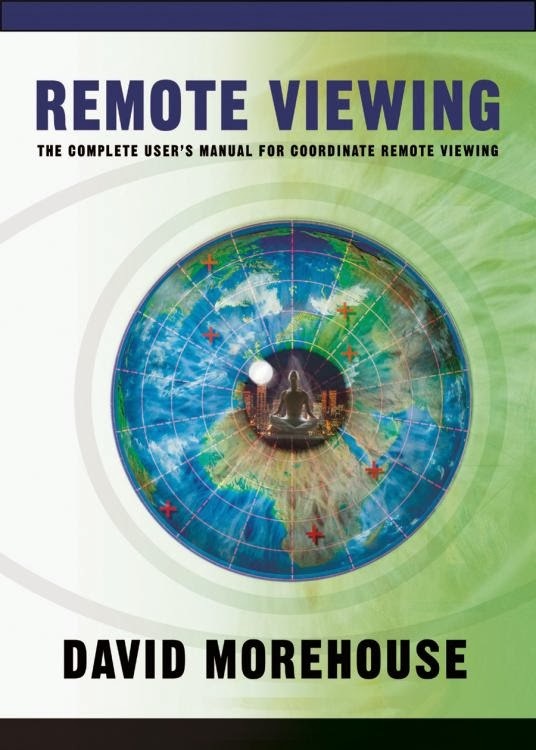 And is it a worthwhile goal to strive to be able to remote view? Reading the comments above on controlled opposition like Alex Jones and David Icke, I'm wondering why the NWO would want someone semi-mainstream like Icke promoting conscious developing psychedelics and Jones (sort of) exposing tyranny in the US govt. and throughout the world. I would say some of Jones' documentaries like The Obama Deception got lots of people involved/interested in activism and exposing the tyranny we're witnessing now. Thanks for your blog, it's too bad there aren't many others like it on the internet. Thanks Josh, no there's not much difference between RV and OBE, but that RV is targeting select locations and OBEs are just getting outside your physical body. As for controlled opposition, to poison the well you need a majority of good information that resonates with people so that the minority of propaganda slips by unnoticed. Since you like Icke's psychedelic stuff you forgive him for the shapeshifting reptilian overlord hollow moon base mind beams and since Jones made Obama Deception you forgive him for never exposing Zionism, Talmudic Judaism, The Moon Landing Hoax, The Holocaust Hoax and other important issues he'll never touch. 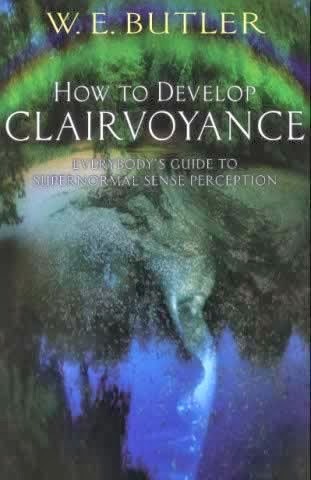 How do I develop clairvoyance?